Situated by the ocean, this resort is 0.9 mi (1.4 km) from Playa Minitas and within 3 mi (5 km) of The Links and Dye Fore Golf Club. La Romana Port and El Obelisco are also within 9 mi (15 km). 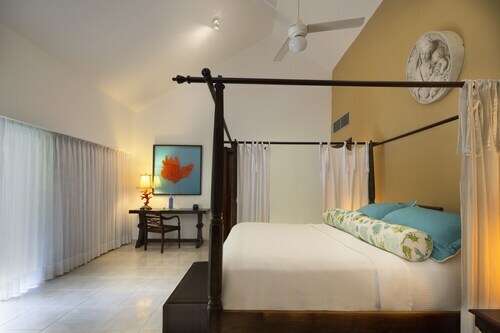 Situated in La Romana, this vacation home is within 2 mi (3 km) of The Links, Playa Minitas, and Dye Fore Golf Club. La Romana Port and El Obelisco are also within 6 mi (10 km). This exclusive Dominican Republic resort with its own private beach encompasses 7,000 acres on the island's Caribbean coast in La Romana. 90 holes of Pete Dye-designed golf are on site. 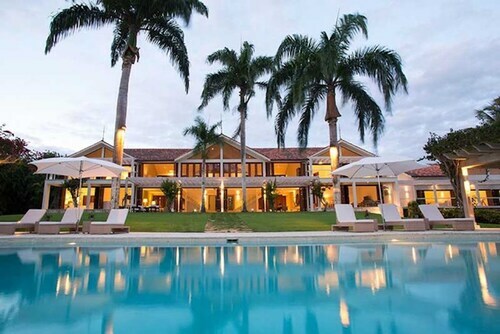 Situated in La Romana, this villa is 1.9 mi (3.1 km) from The Links and within 6 mi (10 km) of La Romana Port and El Obelisco. Dye Fore Golf Club and Playa Minitas are also within 6 mi (10 km). 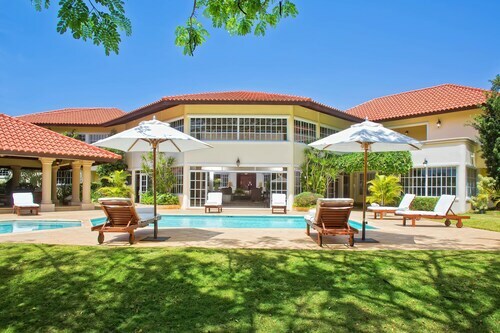 This family-friendly La Romana resort is located by the ocean, 1.9 mi (3.1 km) from The Links, and within 6 mi (10 km) of Playa Minitas and Dye Fore Golf Club. El Obelisco and La Romana Port are also within 6 mi (10 km). 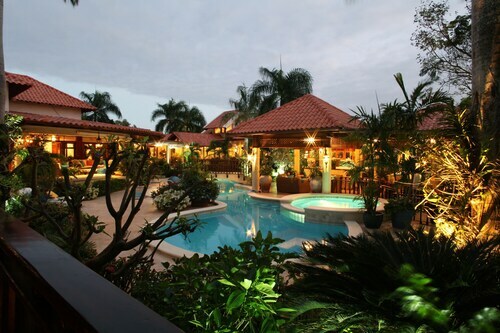 Situated by the ocean, this villa is 0.2 mi (0.4 km) from Playa Minitas and 2.3 mi (3.7 km) from The Links. La Romana Port and Dye Fore Golf Club are also within 9 mi (15 km). Situated in La Romana, this golf villa is 2.1 mi (3.3 km) from The Links and within 6 mi (10 km) of La Romana Port and El Obelisco. Dye Fore Golf Club and Playa Minitas are also within 6 mi (10 km). Situated in La Romana, this property is 0.4 mi (0.7 km) from The Links and within 3 mi (5 km) of Dye Fore Golf Club and Playa Minitas. La Romana Port and El Obelisco are also within 6 mi (10 km). Situated on the beach, this historic vacation home is 0.1 mi (0.2 km) from Playa Minitas and 1.8 mi (3 km) from The Links. La Romana Port and Dye Fore Golf Club are also within 6 mi (10 km). Situated near the beach, this luxury villa is 1.8 mi (3 km) from The Links and within 6 mi (10 km) of La Romana Port and El Obelisco. Dye Fore Golf Club and Playa Minitas are also within 6 mi (10 km). Architectural Gem, Multilingual Butler, 2 Carts, Walking Distance to Beach! Situated by the ocean, this romantic resort is 0.9 mi (1.5 km) from Playa Minitas and 2.2 mi (3.6 km) from The Links. La Romana Port and Dye Fore Golf Club are also within 6 mi (10 km). 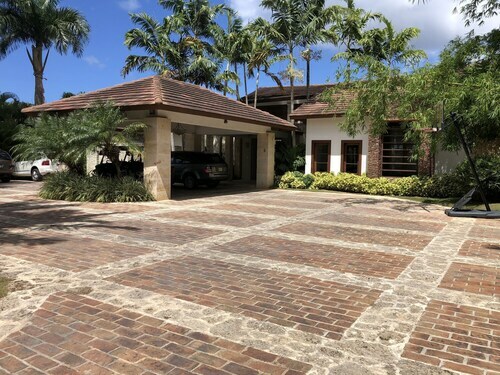 This family-friendly La Romana villa is located near the airport, 2.3 mi (3.7 km) from The Links, and within 6 mi (10 km) of Playa Minitas and Dye Fore Golf Club. El Obelisco and La Romana Port are also within 6 mi (10 km). If you're on the lookout for something to keep you intrigued on your travels, a visit to Casa de Campo Marina is a great idea. Some wanderers like to visit the national capital, Santo Domingo, beforehand. Once you're done there, it's 65 miles (105 kilometers) to La Romana, where the attraction is to be found. 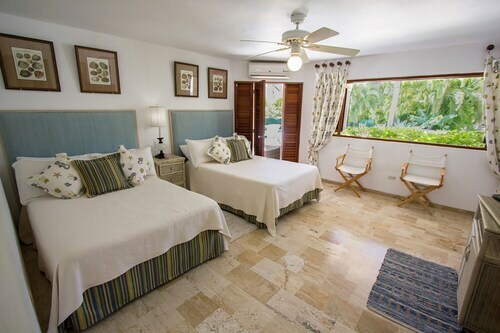 It's always good to have a selection to choose from when you're searching for a room, and with about 5 accommodations only 2 miles (3 kilometers) from Casa de Campo Marina, you can bet you'll find something close by. 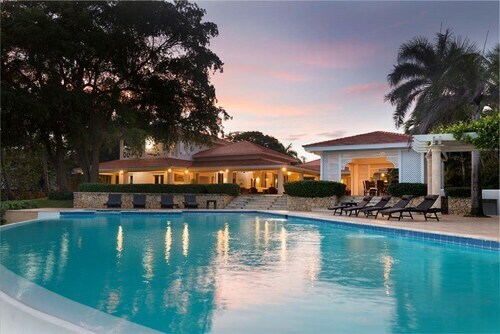 Only 2 miles (3 kilometers) away, you will be able to rest your head at the Los Altos Condo Residences Casa de Campo. Some others are the Villa Las Piñas, 0.9 miles (1.4 kilometers) away, and the Casa de Campo Villas, 2 miles (3 kilometers) away. Treat yourself by spending a night at one of the sophisticated establishments a brief drive away. You might want to consider the Casa de Campo Resort and Villas and Dreams La Romana - Luxury All Inclusive. Restaurante La Casita Marina (La Marina de Casa de Campo, Carretera La Romana - Higuey, La Romana) is just 0.1 miles (0.2 kilometers) away, and is the ideal choice if it's time to have your family's favorite meals at a popular establishment. If you love sports and wouldn't mind playing a quick round, pay a visit to The Links. Enjoy the salty, fresh air and listen to the waves crashing down when you spend the day at Playa Minitas. A tour around Altos de Chavon Village will seem like a trip back in time. Develop your swing and perhaps shave a few strokes from your score at Dye Fore Golf Club. Golf is a great way to relax and get some exercise. So if you'd like to give it a shot, spend a few hours at Teeth of the Dog Golf Course. Need insider tips on must-see attractions in Casa de Campo Marina? Check out our Casa de Campo Marina travel guide! 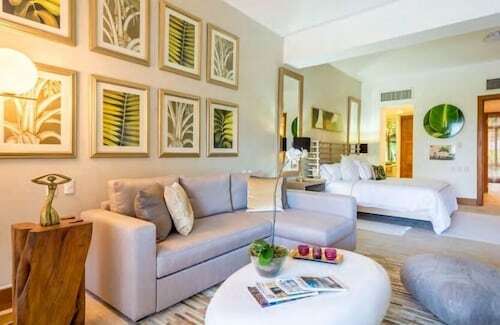 How Much is a Hotel Room in Casa de Campo Marina? 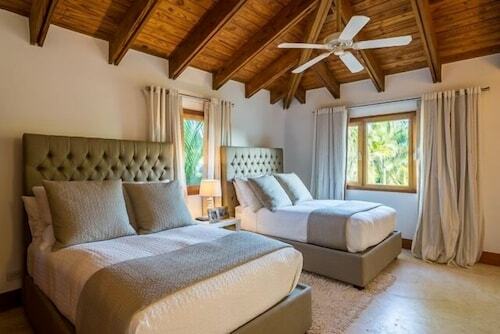 Hotels in Casa de Campo Marina start at $150 per night. Prices and availability subject to change. Additional terms may apply.